A great resource to include in Christmas traditions. "Unwrapping the Greatest Gift: A Family Celebration of Christmas" by Ann Voskamp is a beautiful collection of stories and activities for families to read and share together in during the month of December leading up to Christmas to learn and celebrate the real meaning of the Christmas season. Each day consists of a reading, followed by thoughts to discuss with your children and family and family activities to participate in together. This book is filled with wonderful readings and a variety of discussion questions and activities that can enhance your family time this Christmas season. I have read some discussions about some of the readings in this book and the author's interpretations of the reading that some may not agree with. However, I see this as ideas to add to traditions that I already do with my children and some of the days I may use completely and others I may pick and choose from based on my beliefs, the ages of my children and what fits in best with my family and Christmas celebrating. First of all, this book is absolutely adorable!!! "Gramma Nancy's Animal Hats (and booties too!)" is filled with adorable hats and booties that can be knitted for babies and toddlers. The hats are divided by type of animal and each one is just so cute! The directions are specific and easy to follow and the pictures are wonderful, I could page through this book so many times! This book is a must-have for anyone whom enjoys knitting and creating little treasures that children and parents both will love. I highly recommend this as a gift for that crafty person on your list (including you!). For more information on this book visit here! To read more about the author, go here! *"I received this book from Blogging for Books for this review"
A friend's deception. A family's dilemma. While cataloging looted antiquities in Brussels, archaeologist Grace Madison learns that her daughter has disappeared in France, and daughter-in-law has been attacked in Switzerland. But before the Madisons can save themselves, they must rescue an old friend---if he'll let them. Navigating a deadly, four-thousand-year-old artifact trail that crosses three continents, they jeopardize hearts and lives against a foe as old as time---as time runs out. Because choosing what's right is all that's left. About the author: After an award-winning detour through journalism and marketing and a graduate degree from Dallas Theological Seminary, NLB Horton returned to writing fiction. She has surveyed Israeli and Jordanian archaeological digs accompanied (twice!) by heavy artillery rounds from Syria and machine gun fire from Lebanon. Calmly tossed a tarantula from her skiff into the Amazon after training with an Incan shaman. Driven uneventfully through Rome. And consumed gallons of afternoon tea across five continents. Her first novel, When Camels Fly, was released in May, 2014.The Brothers' Keepers her second in the Parched series, will be released November 17, 2014. The third in the series will release in the fall of 2015. This is a great book for those whom enjoy suspense and also historical details as this book has both and NLB Horton has an incredible talent for bringing history to life. I wish I had read the first book in this series first, but I still enjoyed the book and am looking forward to reading it in the near future. I found it so hard to stop reading as I wanted to find out what would happen next as the characters and the setting came so alive to me and I found myself completely lost in the story. There are so many powerful moments in this book and it is an awesome reminder that God is in control. "Trading Secrets" is another excellent Amish teen fiction novel by Melody Carlson that is enjoyable for teens and adults alike. This was such a fun read that began years ago with a little misunderstanding when students were assigned pen pals. Micah was mistaken to be a boy and she never corrected the assumption, but now it is time to meet her pen pal face to face. As this journey sets off Micah and Zach are faced with the truth and neither are prepared for how this meeting will end. This is quick read that I completely enjoyed just as her other Amish teen fiction novels. Melody does a great job with bringing the Amish culture to life, specifically how it is for teenagers, and mixing the Amish way of life with the English. Melody Carlson's latest Christmas novella, "The Christmas Cat," is a sweet read that will get you in the spirit of giving and remind you of the important things in life. Garrison has been out of the country for almost a decade and has felt lost since returning to the states. Now he feels even more lost when his grandmother passes away, his only relative. Now he more than just without a job, he without family and must deal with taking care of his grandmother's final wishes, even with how odd they are. As Garrison tries to fulfill his grandmother's wishes, he finds himself meeting people whom he probably would have never met otherwise and he finds himself thinking more about his dreams and also his future. and Vincent and the roles each of them played with Garrison finding himself and finding peace and home. Melody does a fabulous job with creating the scene as I felt as if I was right there with Garrison inspecting the homes and meeting the families as well as when he was fixing up his grandmother's home. I highly recommend this book to be put on your to read pile at some point in the next month. "A Beautiful Mess Happy Handmade Home: painting, crafting, and decorating a cheerful, more inspiring space," by Elsie Larson and Emma Chapman, is a fantastic book for anyone whom is looking for ideas for decorating and do it yourself projects in the home. Elsie and Emma created A Beautiful Mess blog on which they share so many things and some of these are inside this book, a convenient collection of inspiring ideas and pictures to help you decide how to make your house into a space that is perfect for you. This book is divided by room and I love this as it makes the book so user-friendly. I was surprised by the variety of ideas in here and I love flipping through the pages looking at all of the beautiful pictures. I cannot wait to try so many of these projects! These two sisters are truly inspiring and I loved being able to spend some time inside their worlds. More info about this book! To read about the authors go here! I featured this book on my blog a few months ago and it is officially on tour with Revell right now and perfect timing as we have had our first snow and I am getting completely into the Christmas season and ready for winter! I love all things Christmas, and I was so excited to receive a Christmas book written by one of my favorite Amish fiction writers, Suzanne Woods Fisher! "Christmas at Rose Hill Farm" is a sweet love story that has the Christmas season as a backdrop and the snowy landscape and the frigid weather set the scene nicely and drew me into the story. It was nice to revisit a few characters from previous novels; I love when authors do that as it's like a nice family reunion when you can get caught up on the lives of characters whom you have enjoyed spending time with. Bess was told that she was in the midst of a love triangle before and now she is once again as her wedding is approaching and the one whom her heart still loves, but she is not marrying, returns home. I really enjoyed spending this time with Bess, Billy and Amos and I will be rereading this once again nearer to Christmas I'm sure! "Surprised by Love" is book #3 in Julie Lessman's The Heart of San Francisco series and I really enjoyed getting back into this series. I loved returning to the McClare family and getting involved with all these relationships and spending time with them once again. Megan McClare has returned home and she has changed during her time away; yet she is not sure if she is ready to face everyone from her past. Bram, Devin and Megan are all characters whom I loved and I loved the interactions between them and seeing their relationships change and develop. Julie has done an excellent job once again with brining this time period and the characters to life. I have really enjoyed this series and I think this book has been my favorite because Megan was easy for me to relate to. I highly recommend this series for historical fiction fans. I really enjoyed the novella collection, "Where Treetops Glisten!" This is a beautiful Christmas collection by three fabulous authors that each share a story involving the Turner family, a kind-hearted, fun family that is trying to survive World War II and yet also keep the magic and love of the Christmas season alive. I love how each of the three novellas focus on a different member of the Turner family and the stories span a three year time span. This time period is brought to life and I love how various aspects of life during the war are highlighted. In the very first story I really enjoyed the small town feel with the candy and soda shop which Abigail works at and the yummy descriptions of making the drinks and treats like candy canes. This is the perfect book for each historical fiction fan as it will transport you to a different time period and ignite the Christmas spirit in each reader. "A Mom's Prayers for Her Son: praying for every part of his life," by Rob & Joanna Teigen, is a must-read for every mother whom has a son of any age. This book is divided into many short chapters, making this a perfect book to pick up and read just a chapter or two at a time and allow yourself time to reflect on what is being shared. There are stories shared throughout as well as verses from the Bible and prayers to help guide mothers in praying for their sons in specific areas. The book is straight-forward and easy to get into. I found this book to be extremely inspiring and one that I will read many times. I have enjoyed reading a little bit each night before going to sleep and praying for my own little boy. Quilts of Love | QUILTED BY CHRISTMAS – Kindle Giveaway & “Merry Quilted” Facebook Party! A grandmother's last wish is to communicate God's love through an Irish chain quilt. Taryn McKenna believes she's easy to forget. Abandoned by her parents and left behind when her high school sweetheart joined the army, she vows to never love again and throws herself into her love for the outdoors and the pursuit of a college degree---something no one else in her family has ever accomplished. Her goal, as a young teacher in the hills of North Carolina, is to leave a legacy in the lives of the middle-schoolers she teaches. When Taryn's grandmother Jemma, the only other person who ever held her close, has a heart attack that reveals a fatal medical condition, Taryn is corralled into helping Grandma work on a final project---an Irish chain quilt that tells the story of her history and the love Jemma knows is out there for Taryn. As the pieces of the quilt come together, Taryn begins to see her value. Can she learn to believe that God will never leave her behind even though others have? I really enjoyed this latest addition to the Quilts of Love series as it is a wonderful story as well as a beautiful family history involving a quilt tied in AND it is a Christmas story! "Quilted by Christmas" is a well-written story about Taryn and the hurt and secret she has been holding onto for so many years. Taryn's relationship with Jemma is so strong and the bond between them is what they both need and the support and unconditional love that Taryn needs. The depth of the characters and their relationships is so well-written and presented making the characters come to life. I enjoyed learning about the Irish tradition with the quilt as well. This book will get you right into the Christmas spirit as you will be transported to Jemma''s home and helping she and Taryn get the trees up and the house decorated. On a rainy night seventeen years after his wife's presumed suicide, Garrett Becker sees her walking down the street. A car accident snatches him away from this world before he can reach her. Marina has spent her whole life mothering her brother, who suffers from an anxiety disorder. After their father's accident, they face losing their home-the only place Dylan's fears are held at bay. Crushing debt is just one of their father's secrets. Old keepsakes lead Dylan to believe their mother is alive and lives nearby. Sara Rochester is a successful chocolatier who doesn't dwell on her past and never expected the resurrection of its ghosts. But after Dylan confronts her, Sara consents to parent the only way she knows how: with money, chocolate, and a gross deficit of experience. Sara's hesitant presence divides Marina and Dylan. Marina doesn't believe that Sara is their mother. The woman's paper-thin lies suggest she might even be responsible for their mother's death. When Marina's suspicions spark an investigation, no one is prepared for the tragic truth or the powerful redemption that Marina's actions expose. Erin Healy is the bestselling coauthor of Burn and Kiss (with Ted Dekker) and an award-winning editor for many bestselling authors. She is a member of ACFW and Academy of Christian Editors. Her novels include such thrilling stories as Never Let You Go, The Baker's Wife, Stranger Things, and Motherless. She and her family live in Colorado. "Motherless" is Erin Healy's latest novel and this is one not to miss out on if you are a fan of Erin's writing. This is a book that will completely captivate you from the beginning to the very end. Erin dives right into the story and I felt as if I were a part of it. Life can change in an instant as the Becker family knows and tragedy is a part of life. However, situations can be perceived differently by different individuals and life as you know it is partly based on how it is perceived. As the Becker children suffer another tragic event in their life, the past is brought back to the forefront and a mystery begins to unravel. This is a suspenseful journey that will keep you reading late into the night as it will be difficult to stop until you read the very end of the story. "At Bluebonnet Lake" is the first book in Amanda Cabot's Texas Crossroads series and it is a wonderful start to the series! This is a contemporary romance series instead of the historical series that Amanda has been writing, but it is still written in the wonderful style as always and I enjoyed it so much. Kate is on a month's vacation with her grandmother Sally to Texas to a resort where Sally has always wanted to return to. This is not quite what they both were expecting as it is has changed since Sally had visited and it does not meet up to Kate's expectations. Kate is deeply committed to her job in marketing and is on the path to making partner and she is still trying to balance her work while on vacation while also spending quality time with Sally. Greg is also at the resort while trying to figure out what his next plan is going to be after selling his company and seeking for more meaning in life. Together Greg and Kate find themselves becoming more involved in this small community and connecting with the people whom live there and both are finding meaning in their lives; however are they willing to make changes and follow their hearts? I loved the setting of this book, the storyline and the characters. Rainbow's End sounds like such a wonderful place and I love the family feel and close-knit community that this place is a part of. Kate and Sally have a wonderful relationship and I loved their interactions as well as those with Roy and Greg. The Easter celebration was such a wonderful event for the entire community and a pivotal moment for Kate and Greg. I am looking forward to the next book in the series and revisiting this town and the people whom all live there. I loved the inclusion of the first chapter of the second book and am looking forward to learning more about Carmen's family and seeing how all of the characters' lives are changing. Mollie Katzen's "Moosewood Cookbook" is a collection of recipes and notes of the food that was served at the restaurant in Ithaca, NY. This hardcover cookbook is the 40th Anniversary Edition of the book and this is filled with recipes that have been enjoyed for so many years and will continue to be enjoyed for years to come. There is a wide variety of recipes included in this book and I am looking forward to trying many of them. What I love the most about this book however is the notes that are included with each recipe. This also has such a homemade and homey feel to the book though as well with the style of the book and layout of the recipes and font. First of all I have to say, I love Christmas books and this one is going to be a must-read on my list every Christmas! 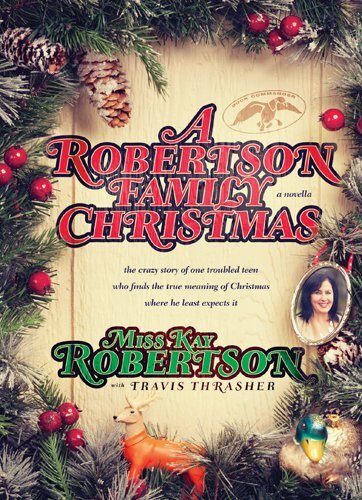 "A Robertson Family Christmas" allows the reader to join this beloved family at such a magical and special time of the year. I loved this story, the entire concept of the story was well-developed and I thoroughly enjoyed it. Hunter is hurting, like so many kids today. Hunter is living with his mom following his parents' divorce and he is missing his dad and brother and do "manly" things. Hunter has one wish for Christmas, and his Christmas is not going as planned when he wins a chance to spend time with the Robertson family. Hunter is so real and honest that he could be someone that you have contact with every day. This story is so inspiring and such a feel-good Christmas story. Fans of Duck Dynasty will love this book and even if you are not a fan, it is one that you will not want to miss out on! To get in the spirit of Christmas, I have a copy of this book to give away to a reader. Share in the comment section on this post a Christmas tradition that is a favorite of yours and you will be entered for a chance to win this book! I will choose a winner on November 11th. 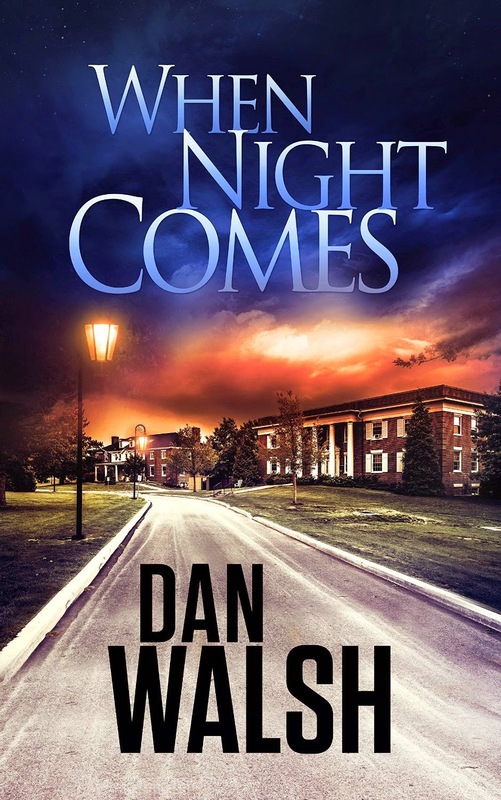 "When Night Comes" is Dan Walsh's most recent novel and while it is not his typical genre that we have all come to love and anticipate, it is a book that you do not want to miss out on! This book was so appealing to me, including the cover which I love. The story is set in a small town, a small town that has many secrets/things going on under wraps and the peace and quiet that is sought and expected may just be lacking as Jack quickly realizes. There is suspense, tension, secrets, and yet also some romance mixed in making this a read that will keep you turning the pages. However, this is also a clean read which I appreciate as well and overall this is a book that I highly recommend to romantic suspense fans and I am looking forward to what Dan writes next. In our world a woman’s acceptance so often seems contingent on her looks, behavior, or talents. This can lead to fearing loss of acceptance, trying to outperform one another, and a warped view God as a ruthless, judgmental, stern entity just waiting for us to crash and burn. Debora M. Coty's new book, Too Loved to Be Lost: Discovering God’s Intentional, Unconditional, Without-Limits Love, offers women simple, practical steps for finding healing, security, and revitalization of spirit, body, and faith. Celebrate being "Too Loved" by entering Debora Coty's HDX giveaway and RSVPing to her Facebook party on November 6th. Enter today by clicking the button below. But hurry, the giveaway ends on November 6th. Winner will be announced at the Too Loved to Be Lost Facebook author event on 11/6. Join author Debora Coty for a humorous and encouraging evening centered around God's unconditional love. Debora will be hosting a fun chat, giving away prizes, answering your questions, offering an exclusive peek at her next book, and much more! About the book: In Too Loved to Be Lost (Barbour Books, October 2014), you'll find simple, practical steps for healing, refreshment, and revitalization of spirit, body, and faith. Whether you're struggling with issues related to trust, depression, patience, relationships, hurts, or hopes. . .this humor-filled volume will deliver a much-needed smile and equip you with simple-to-implement tips for attaining the kind of guidance and belonging you crave---the kind that can only be found in the unconditional love of Papa God. About the author: Debora M. Coty is a popular speaker, columnist, lifelong Bible student, internationally published freelance writer, and award-winning author of numerous books, including Too Blessed to Be Stressed, and More Beauty, Less Beast. She's also an orthopedic occupational therapist, writing instructor, and tennis addict. Mother of two grown children, Debora lives and loves in central Florida with her husband, Chuck, and desperately wicked pooch, Fenway. "Too Loved to be Lost" by Debora M. Coty is a must-read for any woman out there who may feel lost, lonely, over-stressed and struggling. Debora has an upbeat fun way of presenting her thoughts and encouraging others. I found her style to be refreshing and the layout of the book to be perfect as it is cute and bright, seriously just looking at this book puts a smile on my face. It is also the perfect size to stick in your purse and take with you to read when you have a few spare moments. At the end of the chapters there are reflection questions that really drew me into the book and had me thinking about the words long after I read them. About the book: Can Bea and Ben Turn Rivalry Into Romance? About the author: Leslie Gould is the coauthor, with Mindy Starns Clark, of the #1 CBA bestseller The Amish Midwife, a 2012 Christy Award winner; ECPA bestseller Courting Cate, first in the Courtships of Lancaster County series; and Beyond the Blue, winner of the Romantic Times Reviewers' Choice for Best Inspirational Novel, 2006. She holds an MFA in creative writing from Portland State University and has taught fiction writing at Multnomah University as an adjunct professor. She and her familyl live in Portland, Oregon. "Becoming Bea" is a fun Amish read with a Shakespearean twist to it! If this is the first book of the series that you are picking up, I highly recommend you first start with the beginning of the series as characters are revisited in each book. Bea is not the "typical" Amish woman that you would read about in "typical" Amish fiction books; Bea is not looking to marry, and raise a houseful of kids, she is more comfortable with books than people. I loved Bea's love of books of course and I found her to be a fun main character of the book and I liked seeing her grow and mature through the novel as at times I was grimacing during her interactions with Ben as it seems that things were going further downhill. However, this was an entertaining book with a great message in it. I highly recommend this series for Amish fans and those who may not be as well as this series has an additional twist to it. *Thanks to Litfuse Publicity Group for including me on this blog tour. "The Daughter of Highland Hall" is the 2nd book in Carrie Turansky's Edwardian Brides series and this is my favorite book of Carrie's so far! Katherine has grown up with a plan all set for her as a girl of her station will be married and continue to live a life of luxury. However, as we all know life does not always (or usually!) go just according to plan and Katherine is faced with options. Katherine is given the chance to live her life and really find out whom she is and grow herself. I loved this time of self-realization for Katherine as she is allowed the freedom to learn about herself and this is such a pivotal time in her life. I also have to add that I love this cover, it is simply stunning! I highly recommend this book for historical romance fans!